Nestled in the heart of Kent and surrounded by breathtaking natural beauty, Eastwell Manor combines the classic elegance of a historic Neo-Elizabethan country house with pampering done right at Champneys, the UK’s original health spa. 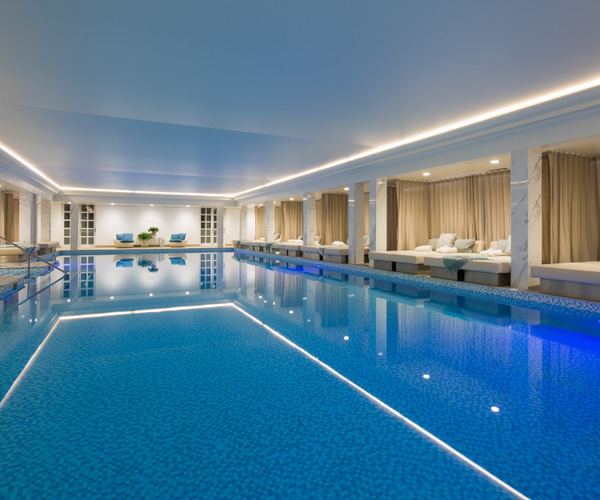 Designed to provide the ultimate spa experience, the award-winning Champneys offers an extensive range of spa and beauty treatments, along with a full range of wellness and fitness offerings, including a heated indoor swimming pool, sauna, steam room, experience shower, hydrotherapy pool, relaxation beds and spa restaurant, and relaxation room. Manor’s unique guest rooms, suites and cottages reflect the classic elegance of the property and provide the highest standards of comfort. 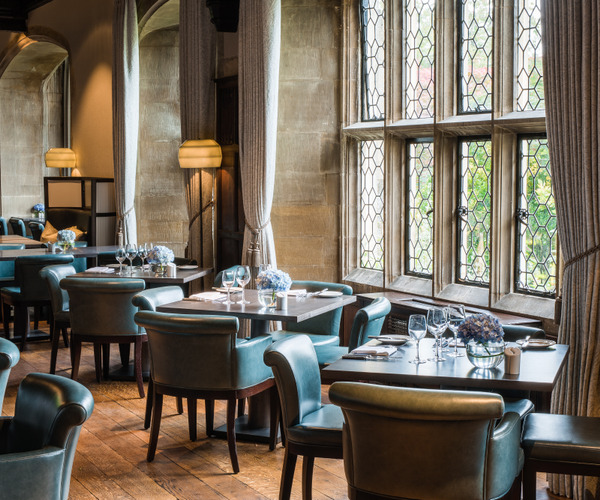 Innovative dining options celebrate Britain’s culinary heritage and international food influences create memorable dining experiences, from a classic afternoon tea to dinner and drinks at The Manor restaurant. Just 40 minutes from London and less than two hours from Paris and Brussels by Eurostar, Eastwell Manor is known for its outdoor activities, including golf, tennis, hiking, biking, outdoor swimming, falconry and lawn games – or simply discovering the wonders of the idyllic, English countryside. Whether you are celebrating a special occasion or are looking to unwind and restore, Champneys energising spa treatments and wellness experiences are the perfect antidote to the stress of everyday life. Relax tired muscles and relieve tension with a range of massage services and Elemis spa days and products. Cleanse, hydrate and exfoliate your skin with a luscious assortment of facials. Refresh and renew with body treatments from exfoliation to wraps, and beautify with makeup, waxing and tanning services. Savor healthy and delicious dining at the Spa Restaurant. And men will enjoy Champneys grooming services and spa treatments designed with their needs in mind. Aqua classes and swimming lessons in the heated indoor pool are an important part of the spa experience, along with a sauna, steam room, experience shower, and hydrotherapy pool. Champneys also offers a comprehensive range of cutting-edge Technogym equipment and the experienced, knowledgeable staff will help you achieve your health, fitness and wellness goals and develop a personal plan for a healthier lifestyle. metre heated outdoor pool is available during the summer months, and there are a wide range of activities for families and children. The hotel provides full services for meetings, weddings, and special occasions. And there are plenty of things to do and see nearby: discover fairytale castles, royal residences and hidden treasures; explore the Wye National Nature Reserve; or shop at the Ashford Designer Outlet. Eastwell Manor recognises the importance of a good night’s sleep and invites guests to relax in a variety of guest rooms and suites, each elegantly designed to reflect the character of the property. All rooms are equipped with flat screen TVs and en suite bathrooms are stocked with fluffy towels, robes, slippers and lovely products. Cottages provide spacious and extensive accommodations and are ideal for families. There is a wide range of dining options and memorable experiences at the Manor Restaurant and the Eastwell bar, and for more relaxed moments, morning coffee or a traditional afternoon tea can be enjoyed in the lounge or on the terrace. The Spa Restaurant (formerly the Pavilion Restaurant) blends healthy, delicious and beautiful food with healthy living, and innovative chefs and nutritionists help guests learn healthy eating habits that last beyond their stay.